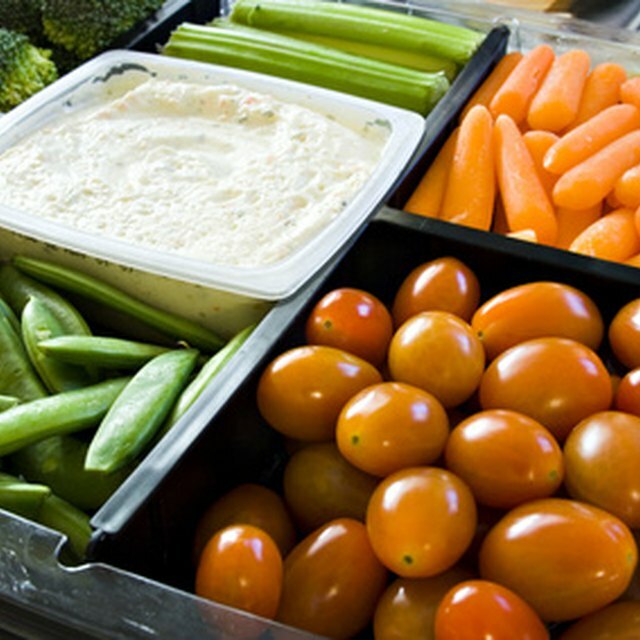 Vegetable trays are a mainstay at group functions. A vegetable tray is a mainstay at most group functions. Most people can find something they like on it, and the vegetables are easy to eat and pair with whatever else is being served. The amount of vegetables you prepare depends on the number of people who will be in attendance, but you should identify vegetables that are more and less popular. For example, baby carrots often go first while celery and broccoli linger after the party's over so plan accordingly. Wash and dry all of the vegetables you are planning to include in your vegetable tray. Popular choices include baby carrots, broccoli, cauliflower, asparagus, red peppers, green onions, celery, and mushrooms. Set the baby carrots on the vegetable tray. Because baby carrots are already bite-sized, you don't have to carve them or alter them in any way. Remove individual broccoli or cauliflower crowns from their stalk by using a paring knife. Cut the crowns vertically to create bite-sized broccoli and cauliflower pieces. Leave enough stem on the broccoli or cauliflower to operate as a sort of handle for guests to use when they're eating the vegetable. Cut the whole red pepper in half horizontally. Remove the stem and any seeds. Cut each half into a series of 1- or 2-inch long strips. Strip any browning outer layers from the green onions and remove the base of the stalk, where the roots are. Leave the green onions long or cut them so that they're half their natural length. Pull individual celery stalks from the group and remove their crowns. Cut the stalks into 1- or 2-inch long pieces. Arrange the cut vegetables on the tray around a central dish, which should be filled with a dip. Make a series of vertical cuts in the mushrooms to create a set of mushroom discs for your tray. 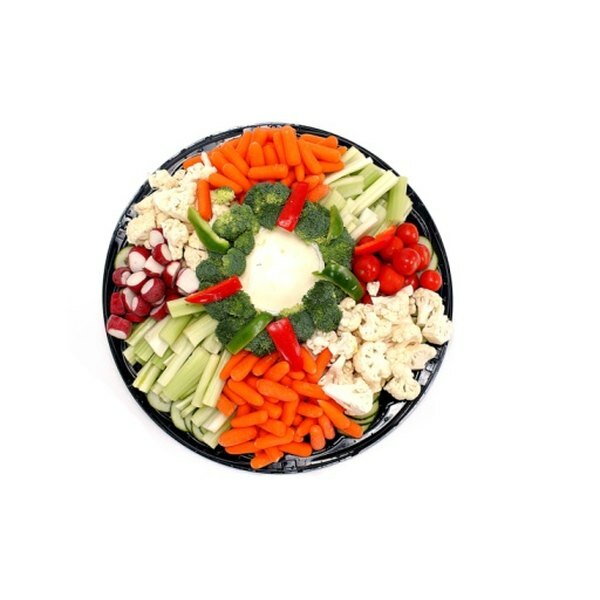 To create an attractive tray and use vegetables with a variety of colors. Cut your vegetables into interesting shapes to express your creativity.